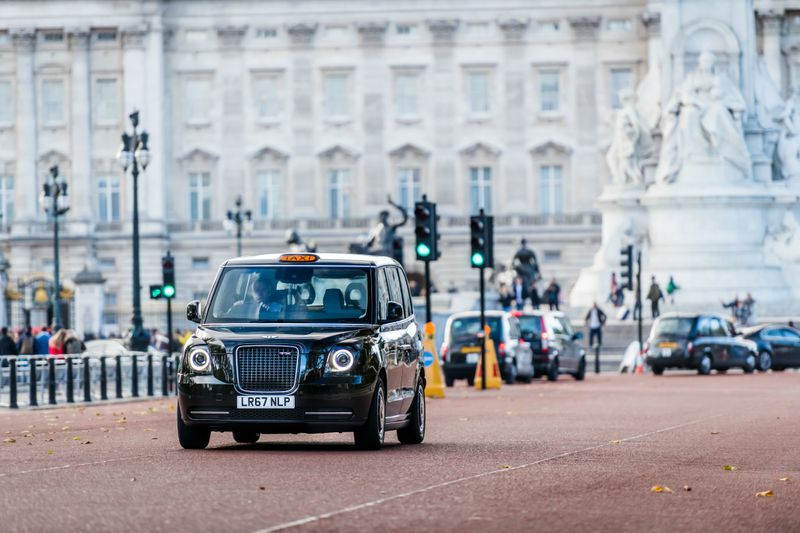 The first fully-certified electric taxis can now be flagged down on the streets on London. 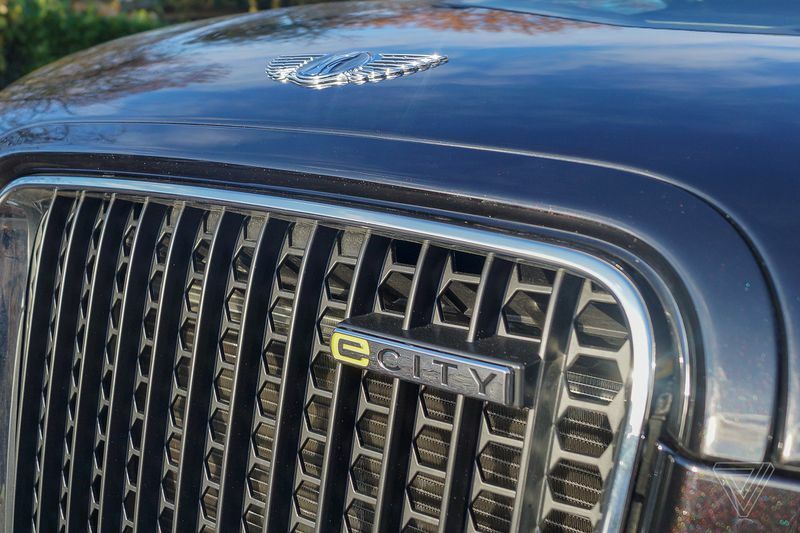 The rollout of the so-called TX eCity London Taxi from the London Electric Vehicle Company will be gradual, with only a handful of the new taxis on the road today. 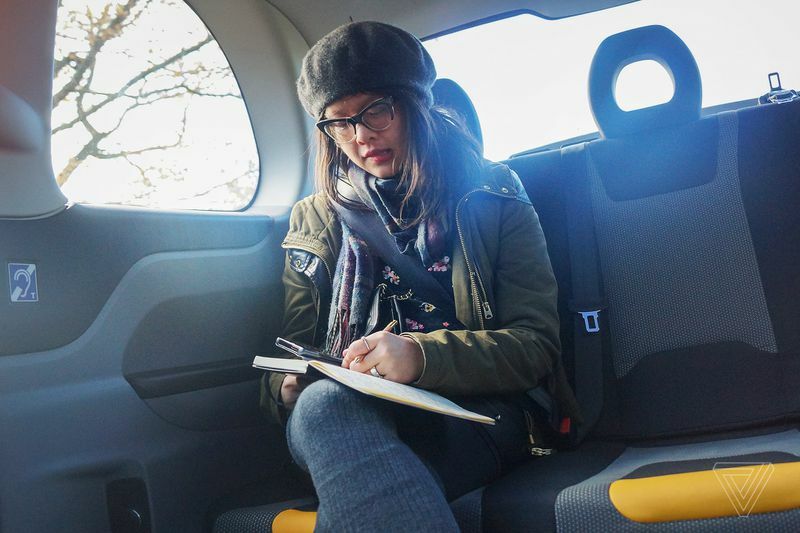 But the LEVC hopes the number of electric taxis operating across London will grow to the hundreds by January. I was able to drive and ride as a passenger in the TX taxi on a trip around London. The difference between the TX and London’s traditional black cabs is stark. London taxis are known for being loud. Partly because they are noisy diesels, and partly due to the clanging vibrations. They’re so loud that it can be difficult to hold a conversation. In contrast, the TX taxi is quiet and smooth. Four of us seated in the back were able to talk without once raising our voices. The taxi is spacious and is bigger than it looks from the outside. It has six seats and is wheelchair accessible. 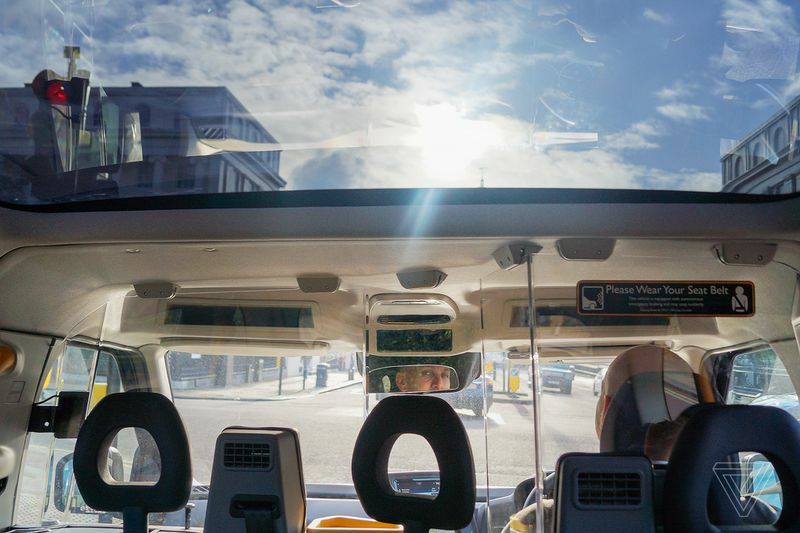 The best part of being a passenger in one of these taxis is the panoramic sunroof, which, when you look up, lets you peer at the skyline. It’s a nice touch and makes me realize how much detail of the world you miss out on when you have the usual blank canvas roof over your head. There’s a USB charging port for your smartphone, a full-size power socket if you need to work on your laptop, and free Wi-Fi. You control how warm or cool you want the taxi with the climate controls near the door handle, and there’s a button you press to speak with the driver, which can be switched off for privacy. Payment can be made via cash or card (including contactless) and fares are the same as diesel taxis. A view through the panoramic sunroof. After riding, it was my turn to drive on a quiet street in Regent’s Park. I’ve never driven a taxi before, so I didn’t know what to expect. It was somewhat intuitive, because everything is automatic. The steering is super smooth and you barely feel the vehicle’s bulk. It’s easily the biggest car I’ve ever driven (the body is made of lightweight aluminum), but also the smoothest. The steering is light, even possibly lighter than the Toyota Corolla I’m used to driving. 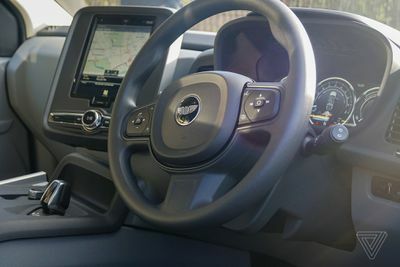 The driver also has access to a central console that has a satellite navigation system, and includes options to check road information like speed limits, lane departure warnings, and car stats — everything is literally at your fingertips. 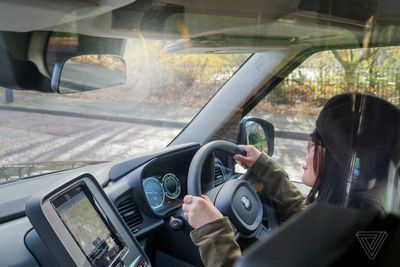 There are sensors mounted on the windshield to identify potential dangers, parking sensors, a rear camera, and a warning system with the AEB (autonomous emergency braking system) that activates brakes to avoid collision. With a 50kW rapid charge, the battery powers up to 80 percent in 25 minutes. 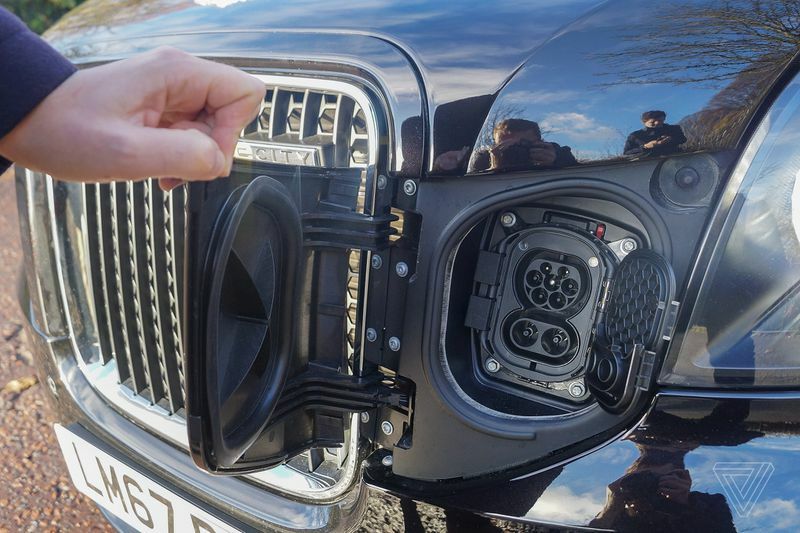 The TX also has the option for a range extender 1.5-liter petrol engine for use when the driver wants to conserve the battery. It has three different modes — Smart, Pure EV, and Save that adjust the usage of battery and gasoline power. LEVC’s taxi allows for a range of over 650 km, including over 120 km using battery power. The urgency to meet regulatory demands that combat pollution is driving the push for greener taxis in London. The Transport for London (TfL) has a January 1st, 2018 deadlinefor all newly licensed taxis to be zero-emission capable. TfL has committed to installing 150 rapid charge points for taxis by the end of 2018. LEVC opened a £325 million plant in Coventry where the electric taxi is being manufactured, and it’s the first of its kind in the UK. The taxis are on sale now in London, and will roll out to overseas markets in early 2018. The Netherlands has already ordered 225 vehicles.